In Portugal the participants can expect a circuit in the mountainous terrain of approx. 60 kilometres, which has to be ridden three times a day. This includes three different special stages, a crosstest at Carvalhinha and two enduro tests in Quinta da Capela and nearby in Celavisa. The centre of the competition is the headquarters of the Góis Moto Clube in the Parque do Baiao (GPS: 40° 9'51.66 "N | 8° 6'42.59 "W). It is not only the paddock there, but also the technical inspection and the parc ferme, where the competition motorcycles has to be parked overnight. Almost 100 riders from 14 different nations take part in the competition in Portugal. 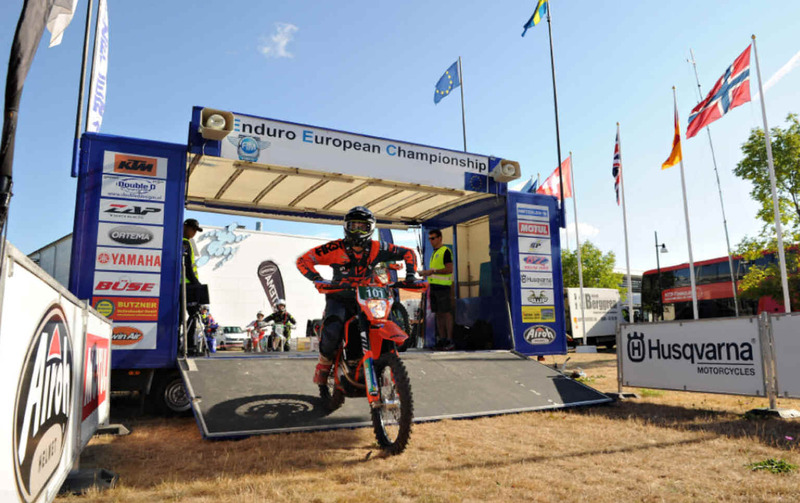 Among them are a very high proportion of Enduro riders from Sweden and Finland, who are not afraid of the long journey. The European Championship has always seen itself not only as a top sport, but also as a way of giving young people easy access to international sport. For this championship class only the national licence of the respective driver is necessary. Last year's champion, the Finn Roni Kytönen from Finland, has switched up to the strong junior class up to the age of 23 for this season. As in 2018, the final-round in Finland will take three days of competition traditionally, with a final motocross.